In the fall of 2018, we explored the myths, practices and the secrets over 4 wonderful weeks. In Navarathri: An Inner Path to Shakti, we explore the Devi Mahatmyam from the standpoint of its relevance to our daily lives and our sadhana. Literally translating to “nine nights,” Navarathri is a celebration of the Divine Feminine (Shakti) and occurs twice a year in the spring and autumn. Although there are numerous stories associated with Navarathri, the most well-known are recounted in the Devi Mahatmyam, a lush text that describes Shakti’s victory over evil. 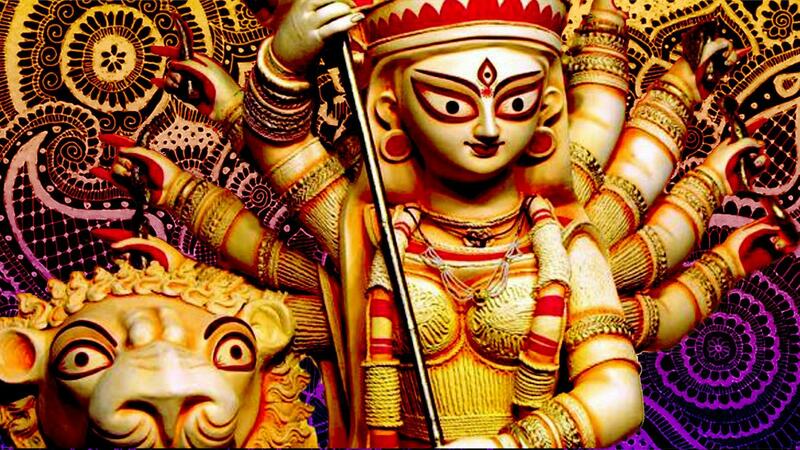 Shakti takes innumerable forms across the eons to accomplish this task, the most famous of which are Durga, Lakshmi and Saraswati. Although the Devi Mahatmyam keeps us spellbound in tales of despair and hope, its hidden power lies in its symbolism since the sequence of events in the text closely mirror the inner transformation on our spiritual journey. This 4-part course uses the stories of the Devi Mahatmyam to explore the path of nondual realization. We will examine the increasingly subtle ways in which the ego stands in the way of radical transformation, and how to invite Shakti to lead us to victory. The stories of the text will be examined from the perspective of the gunas – tamas, rajas, and sattva. We will also learn short hymns from the Devi Mahatmyam and a core Navarathri mantra for daily practice. This course was offered through Embodied Philosophy. Please click here for costs and other details. Learn how to celebrate Navarathri. Understand Shakti and Shiva from a nondual perspective. Discover the symbolism of the Devi Mahatmyam and to apply it to one’s inner journey. Learn the Devi Suktam and Argala Stotram, two of the most exquisite hymns from the Devi Mahatmyam. Learn to practice with a powerful Shakti mantra. Explore the gunas from a nondual standpoint. Overcome the barriers for progress on the spiritual journey. Cultivate habits and an outlook that encourages freedom from ego identification. Discover the hidden ways in which patterns of thinking and feeling restrict greater evolution. Explore devotion and surrender in new ways that have little to do with religion. MODULE #1: Who is Shakti? 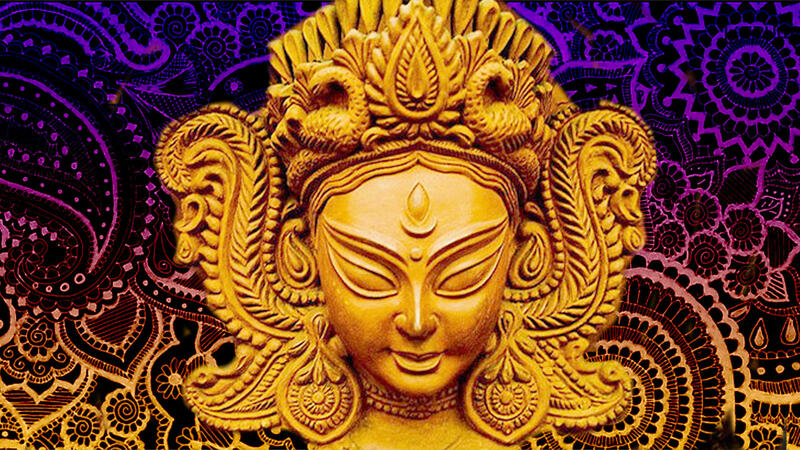 This module introduces the foundational concepts of the course including a brief history of Shaktism, the origins of the Devi Mahatmyam, and the backdrop against which the stories of the text are set. An exploration of the gunas will set the stage for the remaining modules. 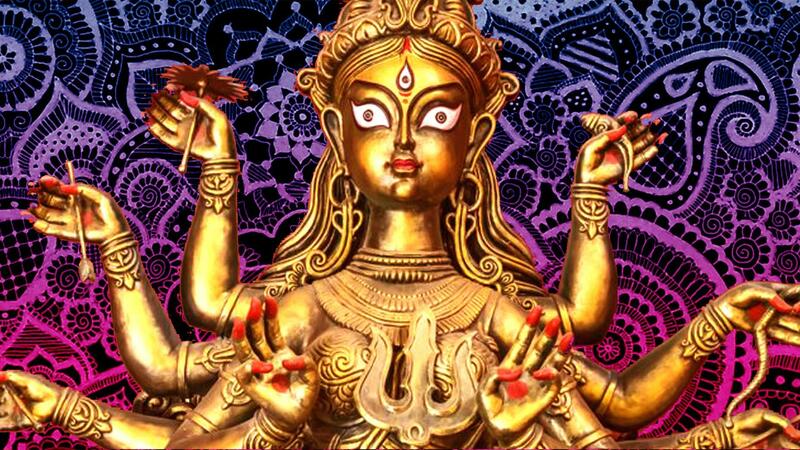 We will learn the core Navarathri mantra and the first half of the Devi Suktam. In this module, we will explore the stories of Madhu and Kaitabha, and Mahishasura, the demons that symbolize tamas. We will learn to recognize them within ourselves as the shape-shifting qualities that keep us bound in ego entrapment, and to invite Shakti to destroy them. 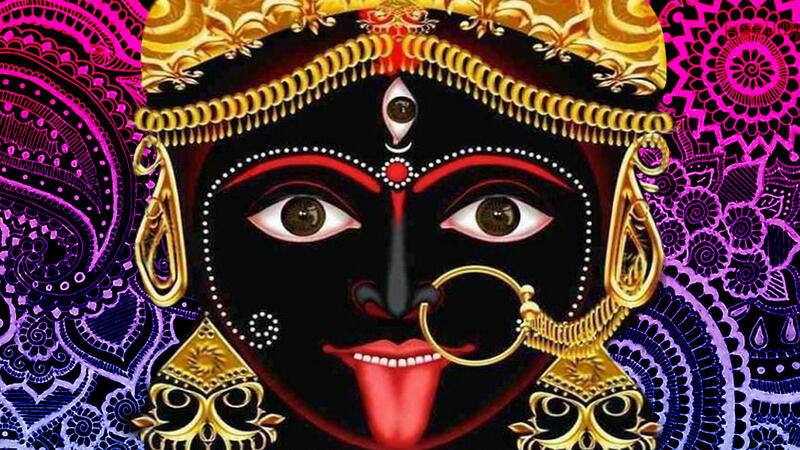 We will learn the rest of the Devi Suktam. This module delves into the story of Raktabija, and his symbolism as rajasic tendencies. We will learn to open to Shakti’s power that destroys Raktabija’s presence in our psyche and senses. We will learn the first half of the Argala Stotram. In this module, we meet Shumbha and Nishumbha, the most powerful demons of the Devi Mahatmyam. They represent the subtlest of the egoic elements that hinder self-realization. We will meet them in our own minds and perceptions. We will explore devotion and surrender from a nondual perspective, and learn the rest of the Argala Stotram.